Last week Jamie from C.R.A.F.T. 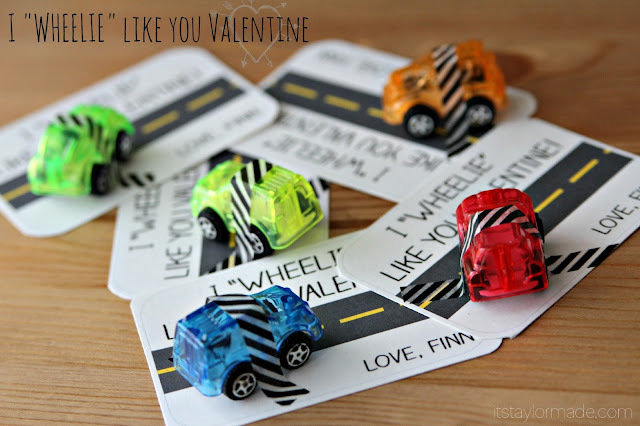 asked me to share a cheesy valentine craft for her series “Share the Love”. In case you missed it over there, here it is again! (fun fact, Jamie and I are going to be roomies at Blissdom Conference in a few weeks, yay!) 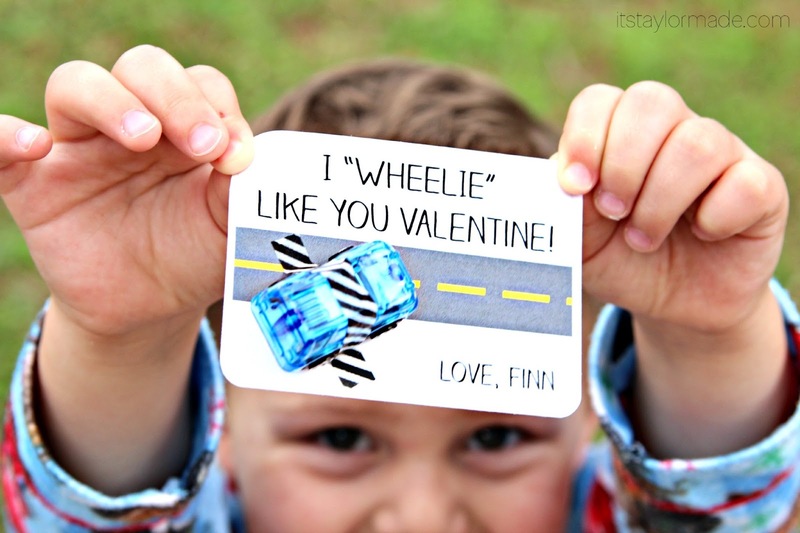 When she asked us to choose a saying naturally I picked a boy friendly one :) My boys are obsessed with cars/trucks/boats/planes/trains… the usual boys stuff. So, I knew they would love a Car Valentine to give to their friends! I found these neon trucks at the dollar store, 12 for $1 – score! Link to the Free Printable. Just print at 100% for 6 Valentines! I used a small piece of washi tape and cut it in half lengthwise. This is so cute! I love that it doesn’t require candy too. I’m having trouble with the link. Found your cute project via Pinterest, which took me to CRAFT blog. I had trouble with the link there. So, I tried the link directly on your blog, but still no success. :(. Could you try emailing it to me? I was able to get the link correctly! I’m still not sure how, but YAY! Thanks! Keep up the wonderful workks guys I’ve included you guys to myy blogroll. countries which become providers for career loans.